We had a list of suggestions from everyone we met that we must see in Vancouver. 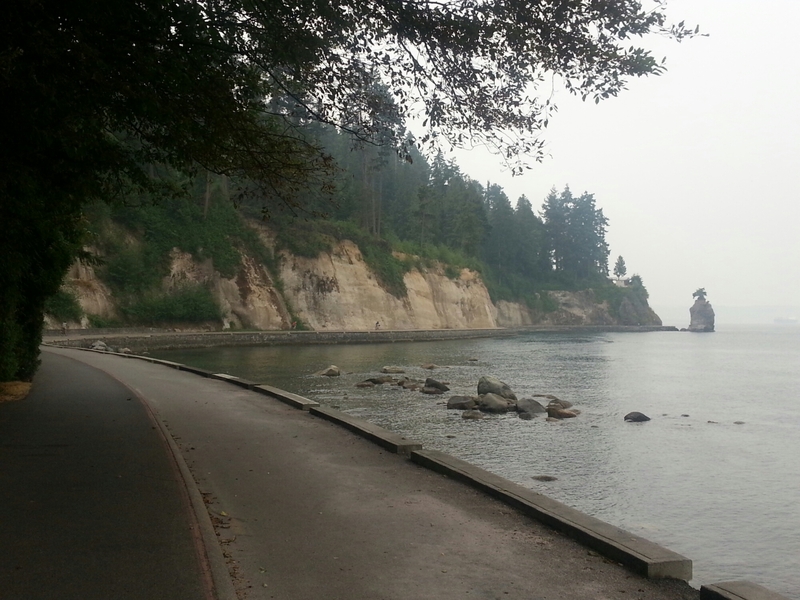 By the time we headed down onto the seawall in West Vancouver, the haze was dissipating. 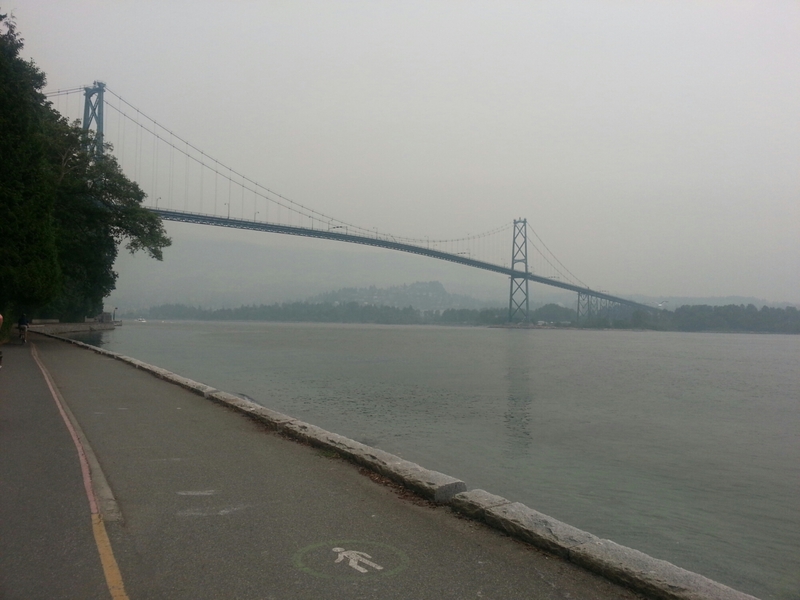 We ride The seawall along Stanley Park. The trail is very scenic and only open to pedestrians/bikes. 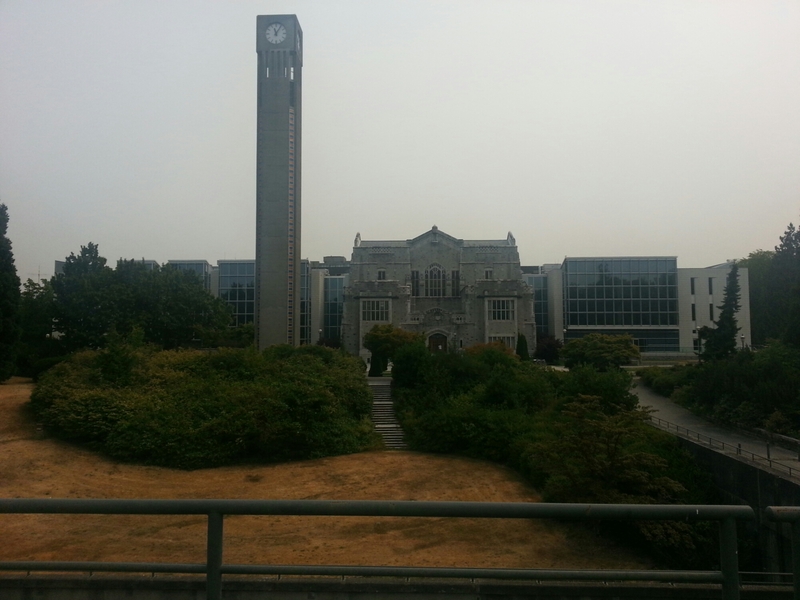 We crossed over Burrard Bridge and circled up to UBC at the end of the point really nice campus with great views and the nicest campus housing you’ll find. Add usual in the summer, there were lots of prospective students touring the campus. We had a snack from a food truck, Bob used the opportunity to check his email at the library. I had a lunch date set with my nephew, Ryan, in Yaletown, at 1:00. We backtracked somewhat, crossed the Burrard Bridge again and found ourselves at the Yaletown Brewery. Lunch and more suggestions from Ryan. 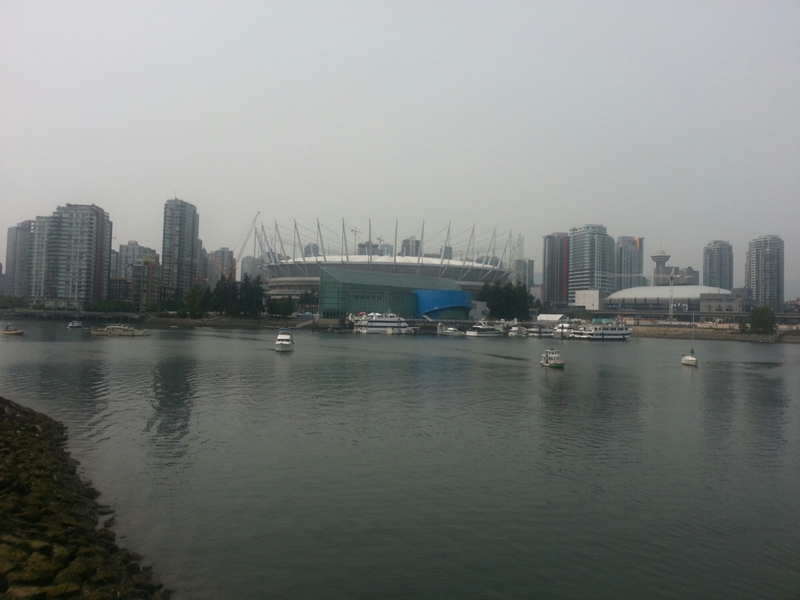 We crossed False Creek to the science museum, checked out some of the outside displays and caught a view of BC Stadium, venue for the big game yesterday. Next on the list, Chinatown and Gastown. Urban cycling at its best. Outside of a block in Chinatown which seemed to be the homeless/vagrant massing point for Vancouver, it was quite interesting. 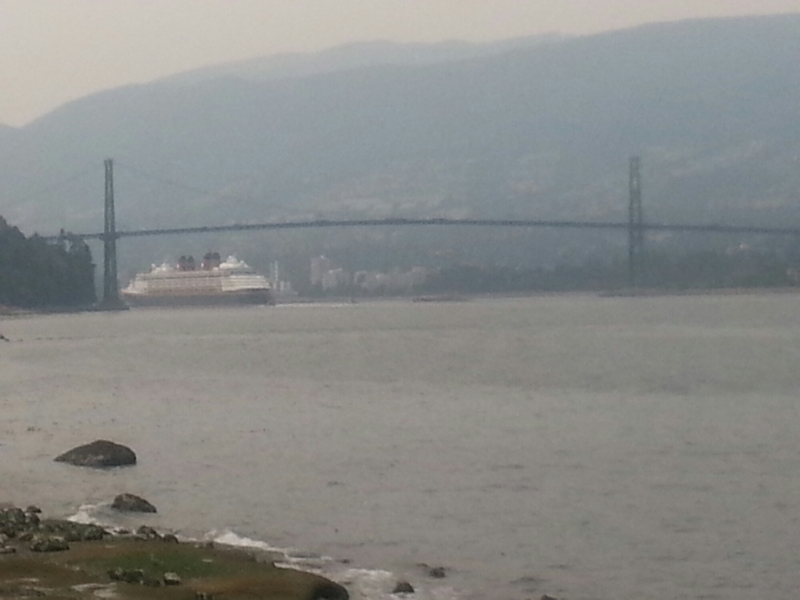 This led us to Canada Place, where we had started our cruise to Alaska several years ago. 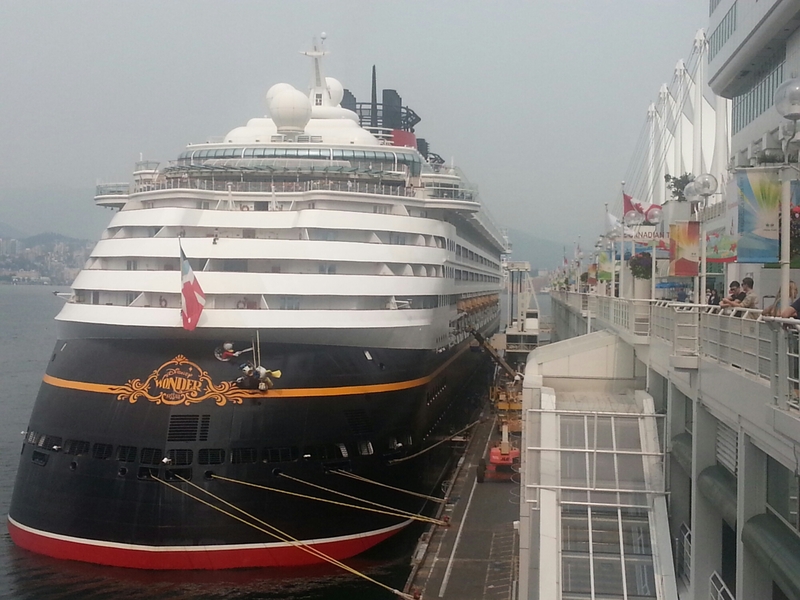 At the dock was the Disney Wonder, doing their muster drill in preparation for departure. 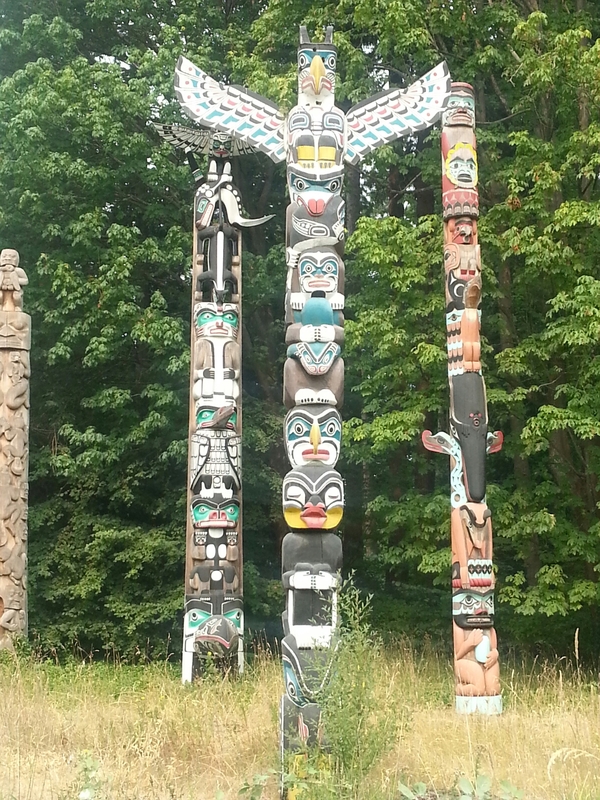 The seawall path winds back into Stanley Park which has everything from an aquarium to totem poles. It was after 6:00 , we looped around the park again for dinner at an “Asian” restaurant, as that was Brian’s dream. Back around the park to find the park over the bridge to our hosts. Susan had researched and went out out while we were away to find candy that is not available in The States to amuse the candy aficionados (under 30’s) in the group. It was a great rest day, though we rode over 43 miles. Tomorrow, we officially head south for the first time. Three riding days to Seattle for me, Redmond for the boys. It’s all coming to an end. On one hand, I’m ready. My old muscles are worn. On the other hand, it’s been a great adventure and is like to continue. Maybe another time and place.